One man. One bike. One gear. And a long way home for Christmas. It’s a while since I did anything about touring. 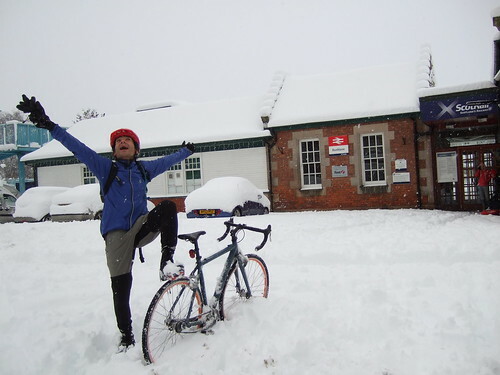 But in the middle of winter, Markus Stitz will be cycling from Scotland’s capital all the way to his home town of Erfurt, the capital of the Thuringia state in Germany. In 13 days, on a single gear bike. The ride is supported by DFDS Seaways and Montane, based in Ashington near Newcastle, which has provided Markus with some warm clothing for the trip. There is a full preview of the trip in the press section of Markus’ website. This entry was posted in Routes / Rides and tagged touring on December 7, 2010 by Owen.